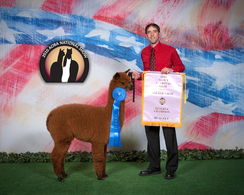 1x Champ, Reserve Color Champion AOBA 2010! 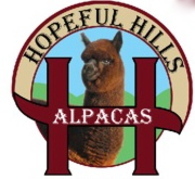 Sunset Hills Paradize,Delightful, Delovley and Delicious! It isn't often that straight out of the cria pen to the show ring we have found such a perfect little female. She gets all of her beautiful head and face from her gorgeous Dam, Snowmass Marguerite. 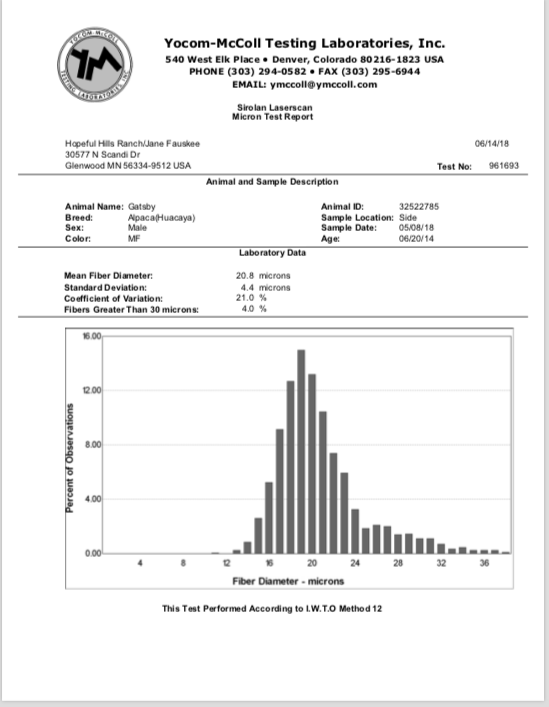 Then combine this buttery soft, narrowly crimped, extremely brilliant and dense fleece that is consistent throughout and you've got the characteristics that both Dam and Sire, (AML"s El Duro's Principio) provide to the genetic mix! Gatsby has very fine, dense fleece with great crimp. His first cria is a dark fawn female. She is simply beautiful! 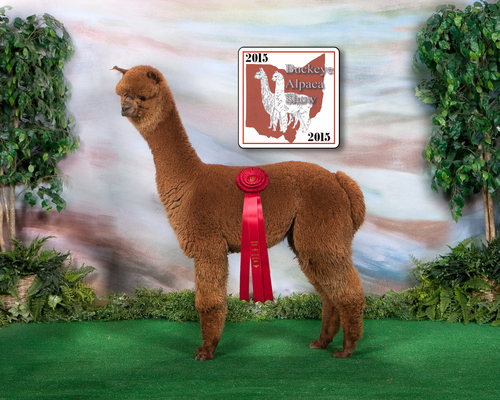 Gatsby took 2nd place at the Buckeye Alpaca show in 2015. 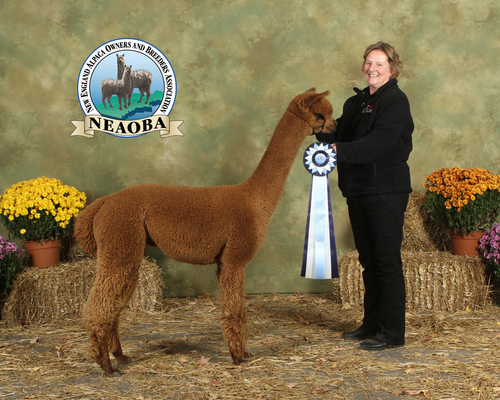 He took 1st place at NEAOBA in 2015.He is definitely taking after his very famous Father, Jeremiah's Peruvian Jumanji! I got my first cria sired by Gatsby April 15th, 2019. He is a beautiful chocolate brown with white markings.